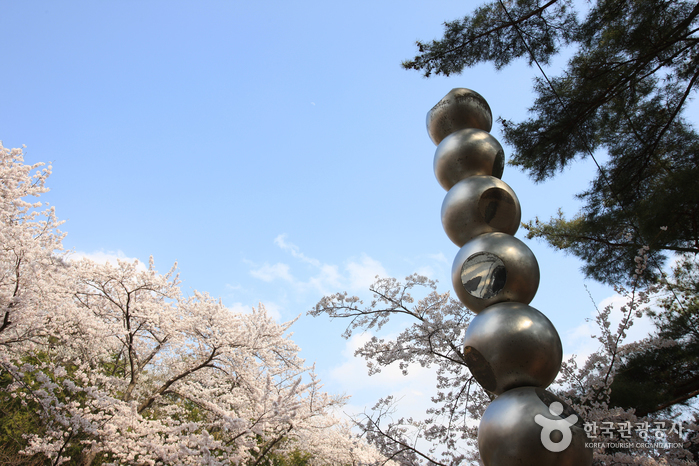 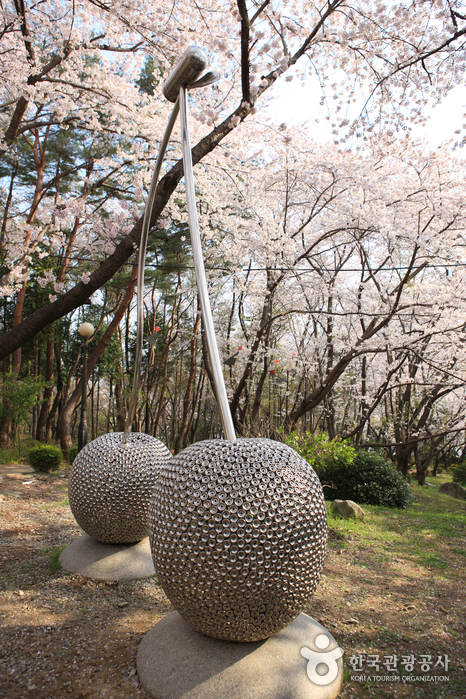 Jangboksan Sculpture Park stands as the unofficial gateway to Jinhae at the end of Jangbok-ro Road between Masan and Jinhae. 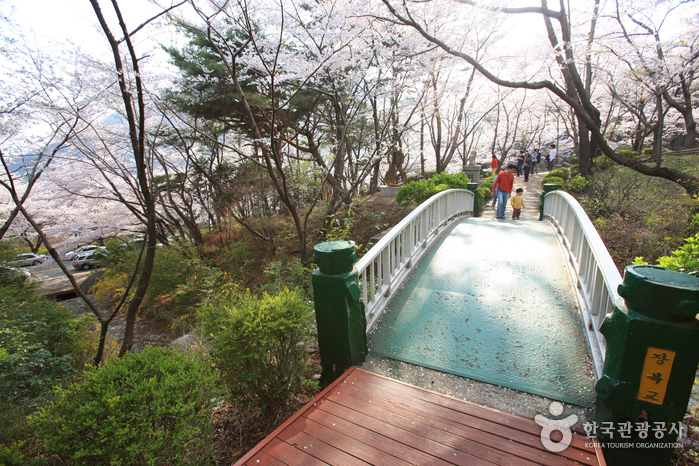 Built in 1979 in the wake of a mountain landslide, the park offers a wide-open view of Jinhae and its quiet waters. 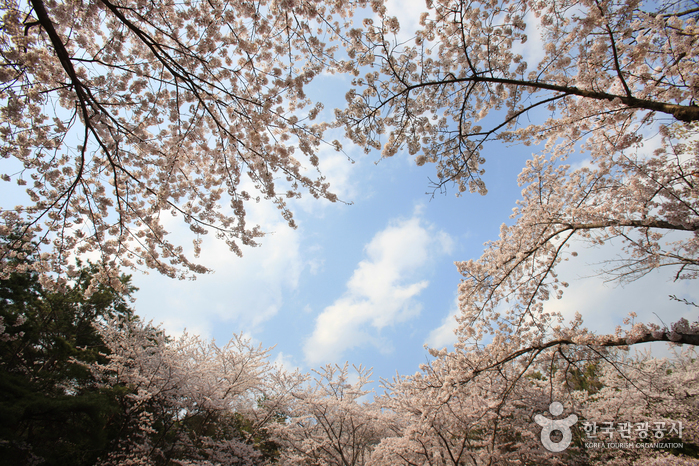 In spring, more than ten thousand cherry trees interspersed throughout the pines come to full bloom, permeating the air with their sweet fragrance. 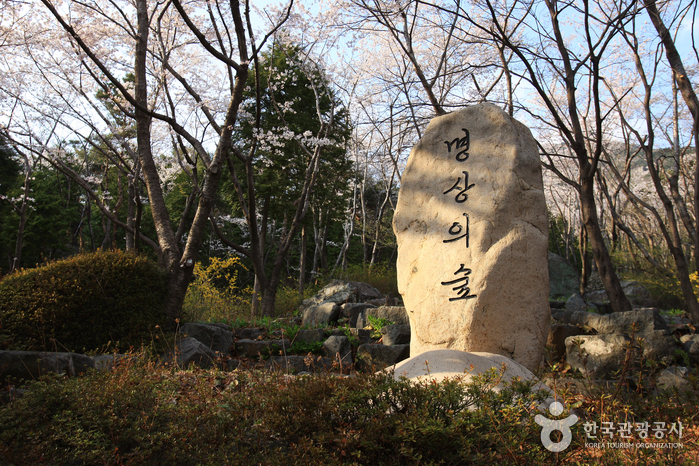 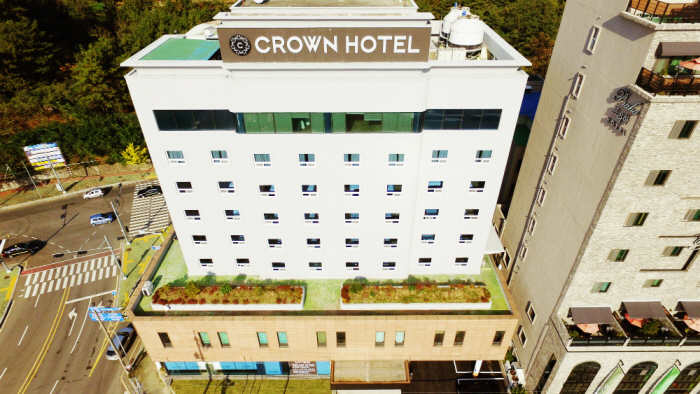 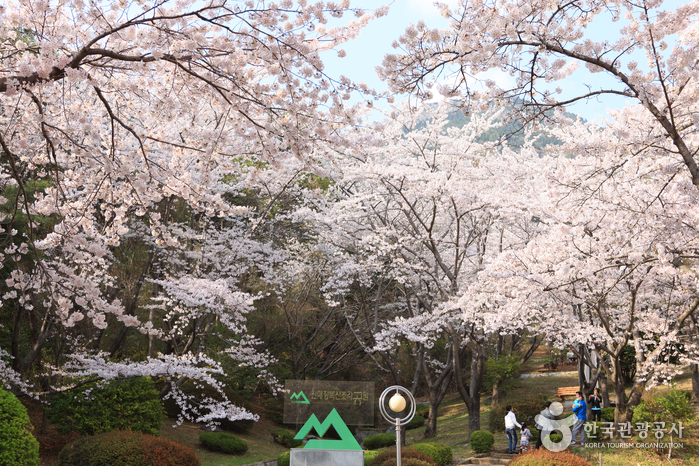 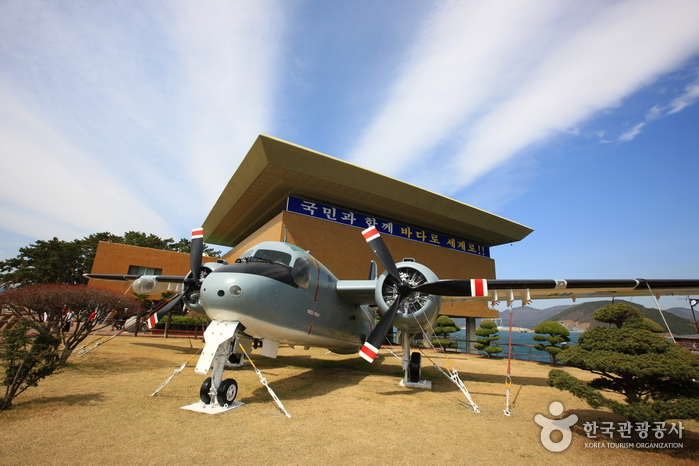 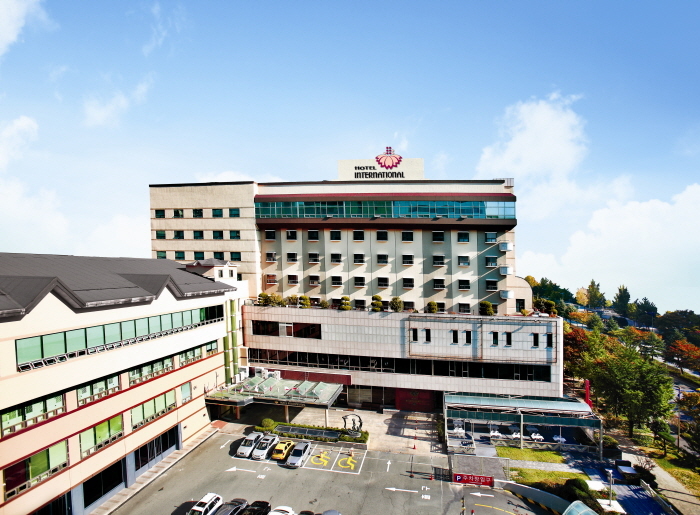 Nearby attractions include Daegwangsa and Jinheungsa temples, the Citizens’ Hall, the Gyeongnam Literary Hall, and Jinhae Park Land, located halfway up Jangboksan Mountain. 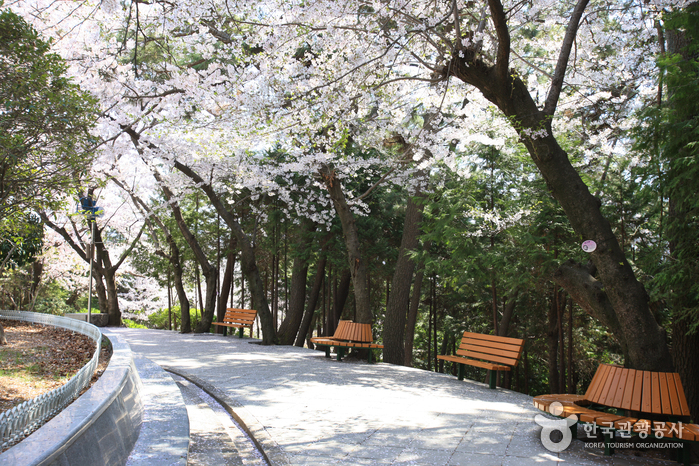 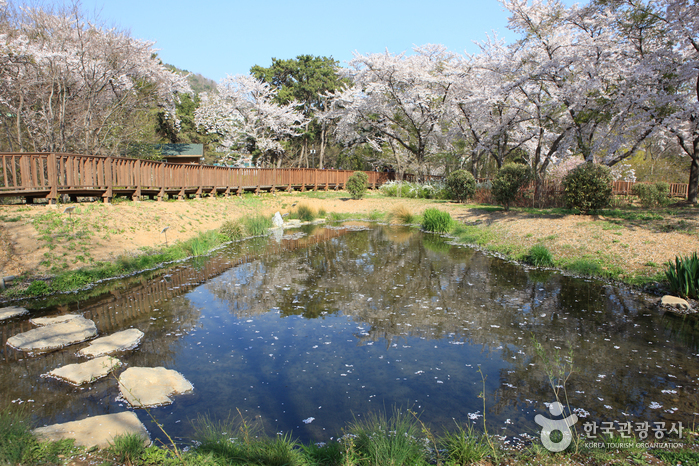 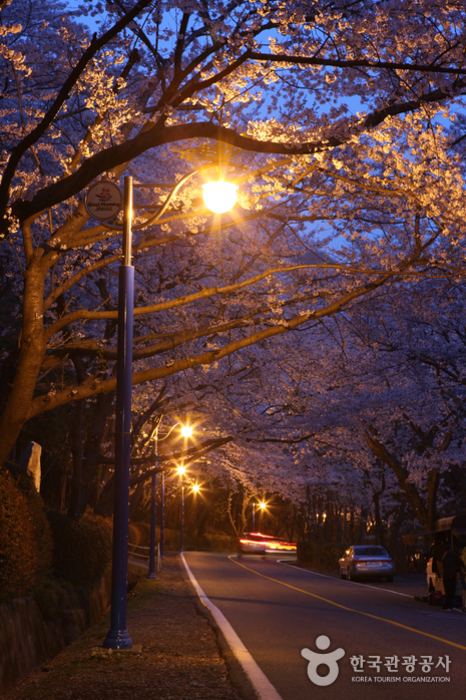 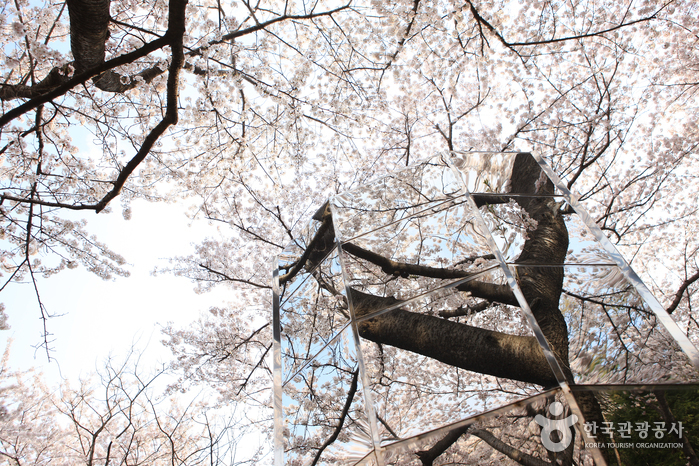 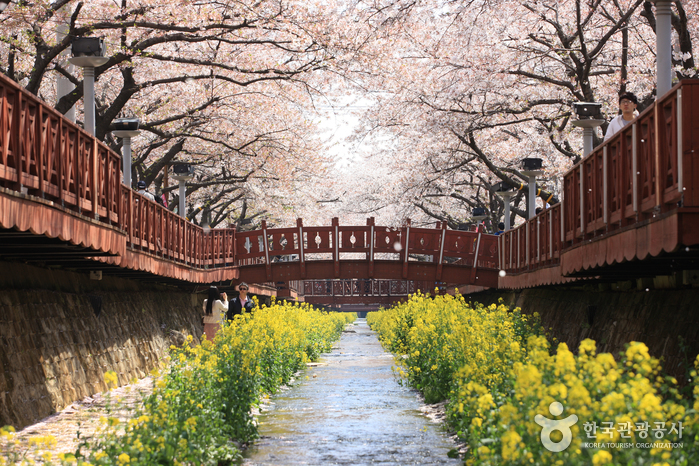 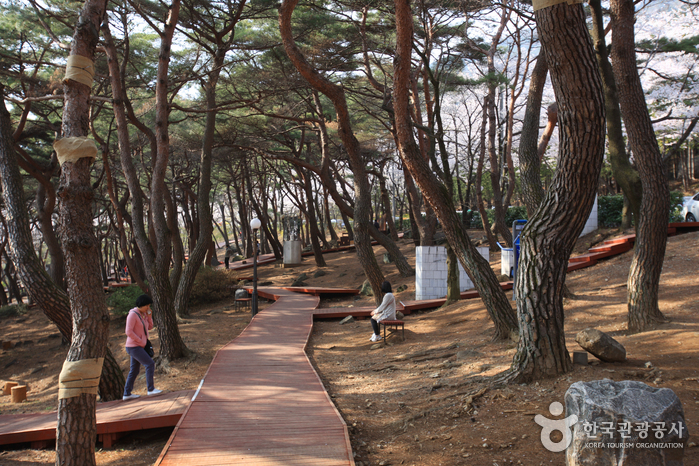 To visit these attractions and explore the beauty of the forest, simply follow the walking trail from Jinhae Girls’ High School to the park (1.5km) and continue walking along the path from the Jangboksan Rest Area to Gumajin Tunnel (1km). 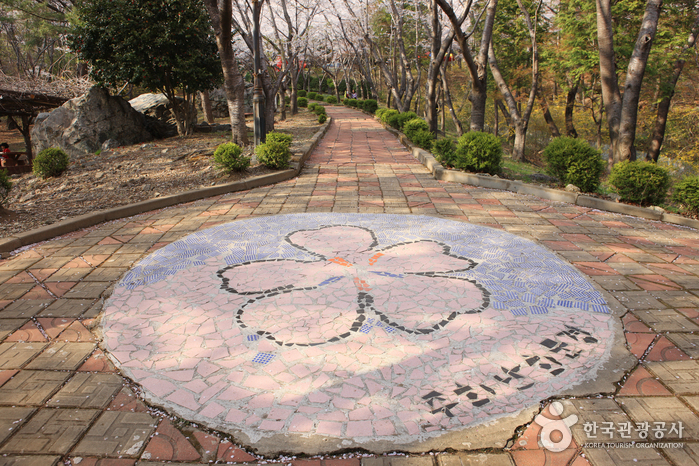 Walking paths, youth hall, pavilion, suspension bridge, sports facilities, mermaid statue, etc. 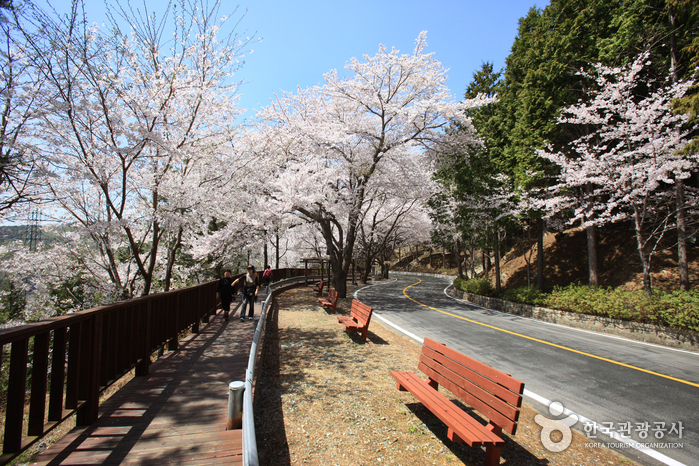 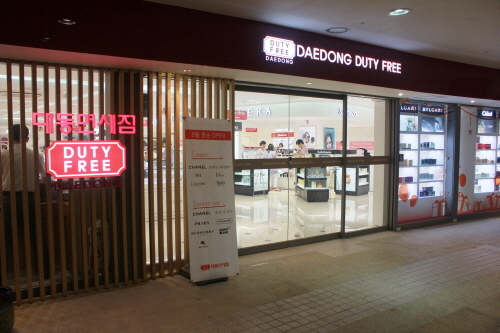 From Jinhae Station or Jinhae Intercity Bus Terminal, take Bus 150, 160 or 162. 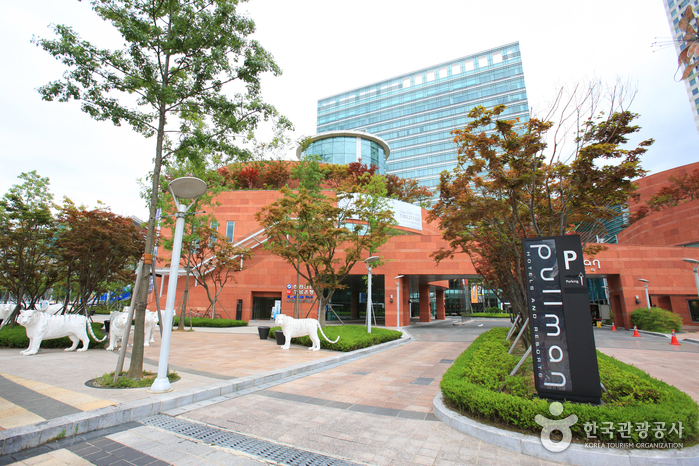 - Get off at Yeojwa Geommunso.